In his now classic book From Caligari to Hitler: A Psychological History of the German Film, Siegfried Kracauer looked for cinematic hints, clues and warnings about the rise of Naziism and Hitler in pre-War Germany. Published by Princeton University Press in 1947 — just two years after the end of the war — his book was among the first to interrogate the deep architecture of film as a psychological state, one that does not directly mirror but rather reflects in a distorted way the “secret history” of mass psychology that, in his argument’s specific case, made possible the rise of Hitler. “What films reflect,” Kracauer wrote, “are not so much explicit credos as psychological dispositions — those deep layers of collective mentality which extend more or less below the dimension of consciousness.” For Kracauer, the anonymous nature of movie-going (albeit much different in the early 20th century than now) was key, for in the dark, spectators participated in an exchange of meaning away from the open light of other public spaces, such as pubs, churches or sports events. “Thus, behind the overt history of economic shifts, social exigencies and political machinations runs a secret history involving the inner dispositions of the German people,” Kracauer wrote. As time-bound as it is with all its era’s predispositions and prejudices, Kracauer’s book provides a vital model for exploring how the mass cultural phenomena of movies can provide social clues and premonitions for what is to come. The book demonstrates how the groundwork for radical new political movements exists long prior to that movement’s taking of power. There is, of course, no one-to-one correspondence between the plots of movies and the plots of nationhood. At most today we can look for hints and codes in films from the decade or so prior to the ascendency of Donald Trump — even if these clues won’t fully form a clear pattern until the post-Trump era because ideology is hard to detect (impossible, some would say) while one is living under it. The Cold War subtext, for instance, of 1950s alien invasion and science fiction films (such as Invasion of the Body Snatchers, 1956) only became clear in the aftermath of the Cold War. Ideology works precisely because it is largely invisible, “natural” and seemingly inevitable. To excavate pre-Trump cinema following Kracauer’s survey of pre-Hitler cinema is maddeningly difficult and thorny, largely because there is no such thing as “pre-Trump cinema.” There is no such thing as “Hollywood” or “the film industry” anymore — at least not in the way that Kracauer or Theodor Adorno would have understood it as a kind of centered, hegemonic force, let alone a force whose films cohere into some sort of consistent narrative. And yet there are a few paths to follow. 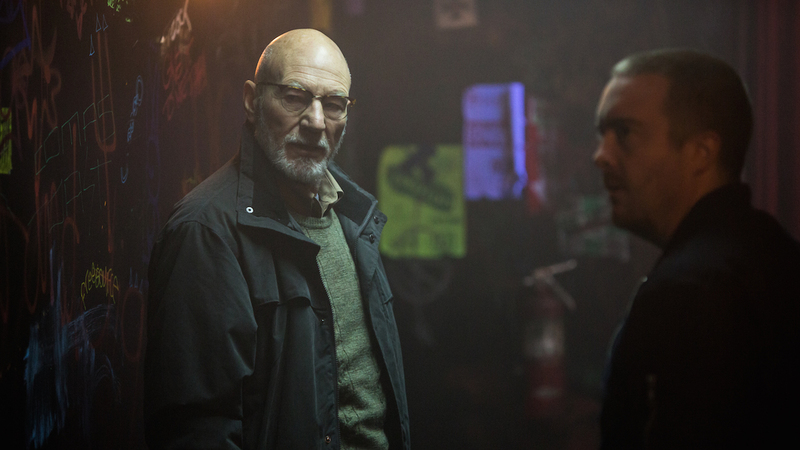 Most obviously, we could take a hard look at the neo-Nazi — and, more broadly, the fascist — depictions in films ranging from American History X (1998) to The Believer (2001) to Green Room (2015), a weirdly prescient political film disguised as a horror film that features a punk band, the Ain’t Rights (not the alt-rights), that unknowingly accepts a gig for a group of rural, racist, Pacific Northwest neo-Nazis. Yet these are relatively isolated examples, and none of these films capture the zeitgeist that swept the new administration into power. And, after all, America’s foundational film (The Birth of a Nation, 1915) inaugurated an Angry White Man sub-genre that has only grown with legerdemain as the decades have ticked by. It’s as if there is a void in these films, a lack and a void in the bored lives of boring characters, waiting to be filled, waiting for a greater authority, a higher purpose, or else something like the it in It Follows, or the Patrick in Martha Marcy, or the black storm in Take Shelter. In HBO’s Westworld, episode 5, the Man in Black (Ed Harris) says to Teddy (James Marsden), “You know why you exist, Teddy? The world out there, the one you’ll never see, was one of plenty. A fat, soft teat people cling to their entire life. Every need taken care of except one: purpose, meaning. So they come here.” Whether this lack of purpose and boredom is just another symptom of comfortable, middle-class white privilege, or some deeper existential trauma that signals the coming of a true revolution, remains to be seen. Like Kracauer, we will have to wait until it’s too late — until the aftermath of our present disorder — to detect and dissect the symptoms that were there all along.